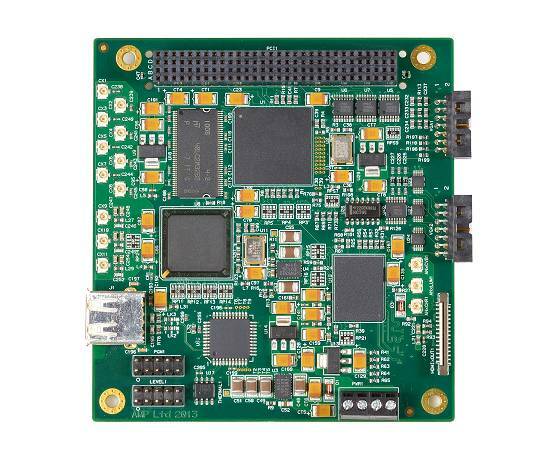 The VAC2000 is a real time NTSC/PAL video overlay and video annotation controller for the PC/104-Plus (pc104+) bus. 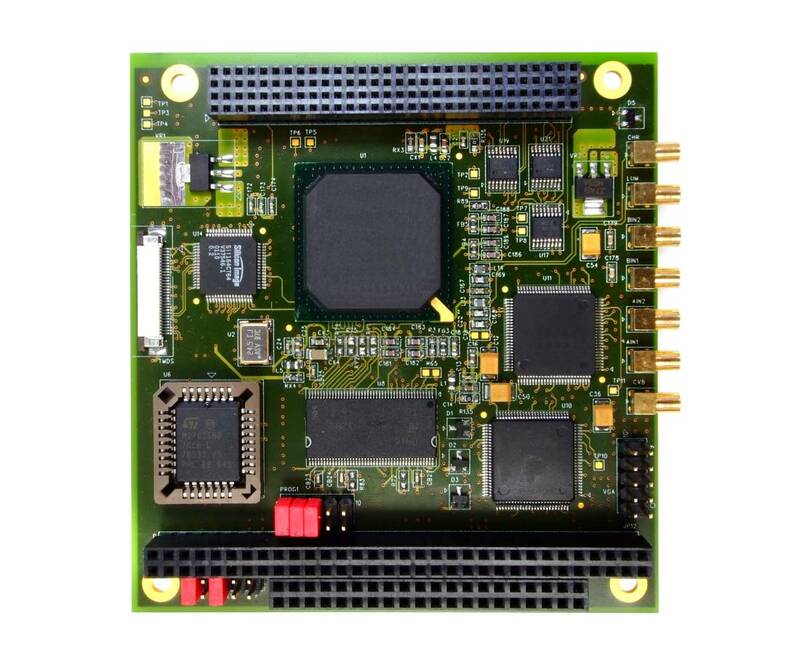 The VAC2000 integrates on a single PC/104-Plus card, a high-resolution graphics accelerator, digital NTSC/PAL TV decoder, digital NTSC/PAL TV encoder and video overlay controller. The VAC2000 accepts up to four composite (or two s-video) NTSC or PAL analog video inputs from a variety of sources including video cameras, digital video recording equipment or regular TV broadcasts. It can mix either video and graphics data or, mix two separate video channels, and provide output to drive a VGA monitor, TV monitor (as composite video or S-Video) or TMDS flat panel display. The VAC2000 Video Annotation Controller features multi-format alpha blending hardware allowing graphics/video and video/video to be alpha-blended over a number of gradations from transparent to fully opaque. The VAC2000 is suited to a wide range of applications which require annotation of live video streams with information such as titles, dynamic grids or visible watermarking. The combined annotated information may then be displayed and/or fed into an MPEG-4 encoder for compression and recording applications. 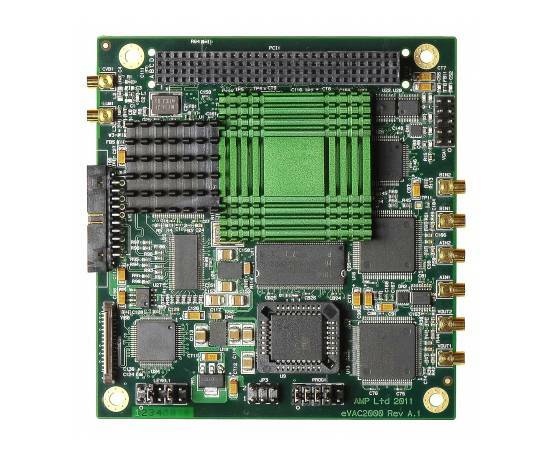 The VAC2000 board uses a high performance 64 bit 2D graphics accelerator and 8Mbytes frame buffer to provide fast video graphics processing to enable high speed re-sizing of alpha blended images. As part of our commitment to long term availability the VAC2000 is now a legacy product. The recommended alternative for new projects is the eVAC2000. AMP Legacy products may still be available to existing customers but are not recommended for new projects. These products are manufactured to order and longer lead time and minimum order quantities may apply. The VAC2000 is supported by a comprehensive SDK which provides a high level API to configure and control the embedded video hardware (via more than 500 internal registers). The VAC2000 SDK is available for a one-time fee and helps bridge the gap between the TV and computer display technologies and saves a significant amount of development time. The SDK consists of support libraries and drivers as well as an extensive range of example applications (including source code). These examples show how the SDK can be utilized to harness the power of the VAC2000 in complex video/graphic applications.